What do you do with a car that probably doesn't have a custom cover? Well, the likely answer is to get a garage, but now there's another option. 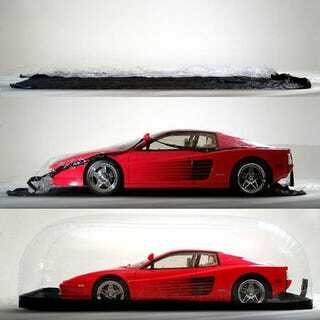 It's the car capsule — a ridiculously ridiculous snow globe sans snow for your car.